Baby Girl is the one sitting off to the side, waiting. Cutie is the black one in the red collar, and Lydia is the other black one, with her back to the camera. 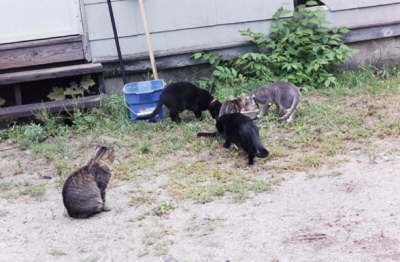 Obadiah, still a kitten at that time, is between them, and Bird is the gray and white one on the right.